EIGHT of the country’s top advertising agencies have been shortlisted for the P5.6-million tourism slogan project of the Department of Tourism (DOT). A list obtained by the BusinessMirror showed the eight are: Dentsu Philippines Inc., J. Romero & Associates Inc., Lowe Inc., BBDO Guerrero Proximity Philippines Inc., DDB Philippines Inc., WPP/J. Walter Thompson, Young & Rubicam Philippines Inc. and ASPAC Advertising Inc. It was also learned that the winning bidder’s contract has been extended to one year from the original contract duration of only two months. Acting Tourism Secretary Ramon Jimenez Jr. has said the new tourism slogan would be announced before Christmas. A DOT source said 16 agencies submitted eligibility documents to bid for the “Philippine Branding Campaign focusing on Tourism” project. Of the 16, 13 were declared eligible. The advertising firms were scored on the basis of “company experience and track record, as major factors,” before being shortlisted, another DOT source said. The highest score was garnered by Dentsu at 57 (out of 100 possible points), with the lowest recorded by WPP/J. Walter, Y&R, and ASPAC at 46 points each. BBDO Guerrero, which was responsible for the DOT’s long-running and hugely successful “Wow Philippines/More than the usual” slogan launched in 2007, was ranked No. 4 with 48 points. As per DOT’s Bid Bulletin No. 2, submission of the agencies’ final bids will be on November 3 at 1 p.m. The bids will be opened on the same day at 2 p.m. Presentation of pitches by the qualified bidders will be on November 21 as per the new terms of reference of the project. But it could take a year before any actual ad campaign rolls out, featuring the new slogan for the local and foreign tourists. Part of the winning bidder’s “deliverables” as also stated in Bid Bulletin No. 1, is the submission of a “cost estimate of producing the creative materials proposed for the branding campaign, as well as of applying said campaign in various international and domestic media and platforms.” But it doesn’t mean that the winning bidder will produce the ad campaign itself. Enerio disclosed there would be another bidding for the supplier of the advertising materials such as television commercials, brochures, posters, and other collateral materials. In advertising campaigns made for private companies, an ad agency usually has the leeway to choose its own suppliers for the production of the ads and collateral materials. The PH branding campaign project is the DOT’s third try at creating a new tourism slogan for the country. 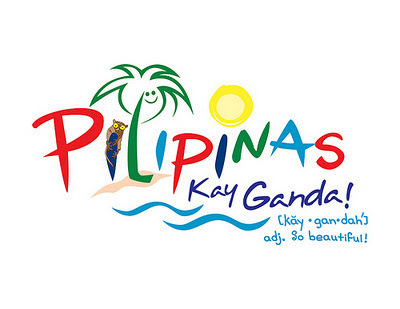 Under Jimenez’s predecessor, Alberto Lim, the DOT was pilloried for crafting the “Pilipinas Kay Ganda” slogan, which was in Filipino and therefore criticized for being unsuitable for international tourists. The DOT also received flak for allowing its advertising agency to allegedly copy Poland’s logo for the PKG slogan. This led to the resignation of a key official of the agency. In April, Lim again bidded out a P13-million branding campaign which garnered the participation of seven bidders. However, one of the bidders, Y&R was reportedly disqualified for technical reasons, while five – Dentsu, McCann, J. Romero, JWT, and Lowe, withdrew their participation in the bid, according to industry sources. This left only BBDO as the qualified bidder.